Spelet om Heilag Olav, also called Stiklestadspelet, is Norway’s longest running historical spel. Spels are Norwegian annual outdoor performances about a historical event from the local place where the spel is performed. Spelet om Heilag Olav is about the martyr death of King Olav Harladsson at Stiklestad in 1030, which is said to have brought Christianity to Norway. The spel is subject to conservative aesthetics where both the history of medieval Norway and the spel’s own inherent history guarantees that there will not be big changes in the performance from year to year. This conservative aesthetics makes room for a certain form of nostalgia that can be linked to play. The spel makes use of more serious sides of play. In the theories of Victor Turner, play is connected to the liminoid that differs from the liminal because the liminoid is connected to choice while the liminal is duty. The spel is liminoid but it can be argued that the liminoid has a mimetic relationship to the liminal and through play the spel can make use of several liminal qualities without becoming an actually transforming event. One of the main aesthetic ideas of the spel is authenticity. That this today feels old fashioned is legitimized through the necessity of authenticity and authenticity’s connection to play. Through the use of Žižek’s theories of ideology and his term of failure, the article argues that the failure of creating totalities is inherent to theatre, and that this failure is play. Because the totalities are not clear, the event plays with desire showing its audience, through a form of rituality, how what is happening is an important event for the nation as a whole. Spelet om Heilag Olav becomes an effective presenter of Norwegian ideology because it manages Norwegian history in a way that focuses more on the collective experience of the event than on its content. Turner, Victor. 1982. From Ritual to Theatre: The Human Seriousness of Play. New York: PAJ Publications. 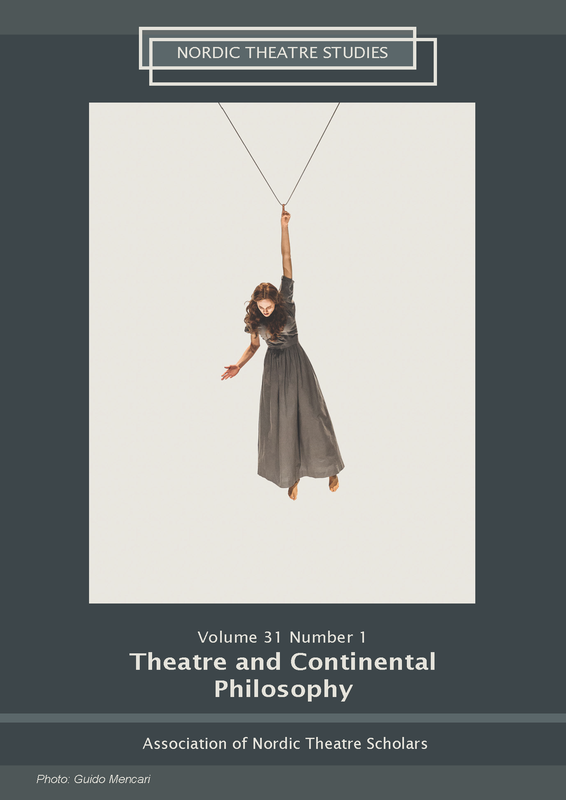 The copyright belongs to the authors and Nordic Theatre Studies. Users can use, reuse and build upon the material published in the journal but only for non-commercial purposes. Users are allowed to link to the files, download the files, distribute the files on a local network (preferably by links), upload the files to local repositories if their institutions require them to do so, but not republish the files without proper agreements with the journal and the author.